Some of the residents of Ventnor would probably prefer that it was annexed off and declared the Independent Republic of Ventnor, free from the shackles of the Isle of Wight’s other towns. I exaggerate slightly, but the pretty seaside town does feel a long way from Cowes and Newport once you’ve wiggled your way downs its ridiculously steep roads. 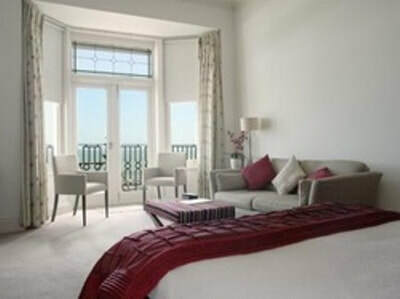 I love Ventnor and there are quite a few nice things to do in Ventnor and the South Wight for those who fancy a visit. Ventnor's beach used to be much sandier, but thanks to some epic storms one winter it became a fair bit shinglier. It is still a lovely coastline, with chintzy little beach huts which were once bathing huts on wheels and lots of excellent chip eating spots. Steephill Cove is less accessible than Ventnor (the clue’s in the name) but it is a favourite of many. It feels a bit like a small Cornish fishing cove with half a dozen pretty little houses. Low tide is preferable as there’s very little beach otherwise. If you fancy somewhere really secluded, try Binnels Bay. We once tried to have a picnic, despite there being no sand or soft surfaces to sit on. I’d describe it as a bumpy experience. 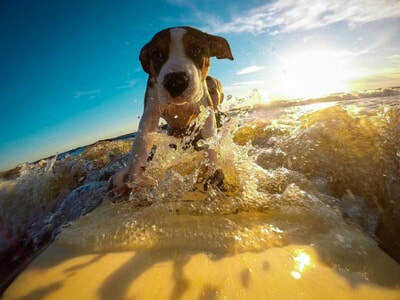 See our clickable beaches map. 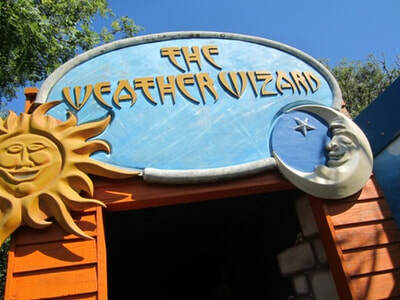 The UK's oddest - sorry, oldest - theme park remains a family favourite, despite it now being a bit pricier than you might remember when you visited in 1990. Everyone who went on a school trip to the Isle of Wight will reminisce about Blackgang Chine's Crooked House, the maze, the dinosaurs (which now move), the cowboys and the giant smuggler. 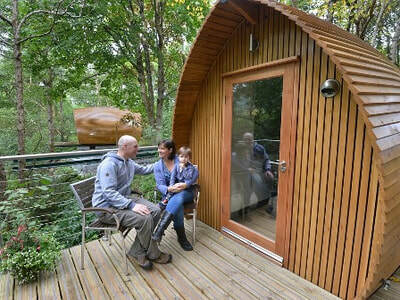 ​It's also in an unbeatable location, hanging on the edge of a rather precarious coastline. 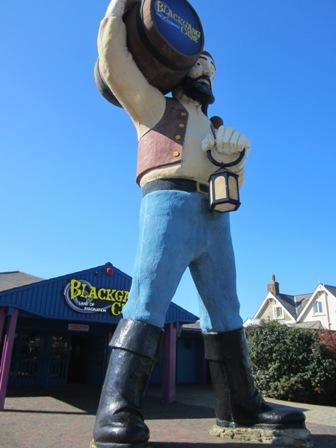 You can read about our visit to the Blackgang Chine in the blog. Little splashers will love this map of the Island, complete with authentically cold water to recreate the icy Solent. There’s also a playground high up by Ventnor Winter Gardens. It is well located on the Esplanade, alongside some toilets and a nice cafe. There's a big pay and display car park nearby, which is handy for toddlers who are inclined to have an embarassing meltdown and need swiftly returning to the car (by which I mean all toddlers). Don't even think about taking children on a tour of historic churches. They won't enjoy it, and as a result neither will you. My parents frequently dragged us around ancient churches as a youngster. Nowadays I can see the appeal - well preserved buildings that are nearly a thousand years old and they are free to get in. 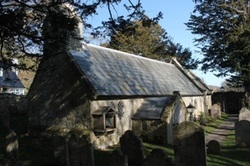 Part of Old St Boniface Church dates back to the 11th century. 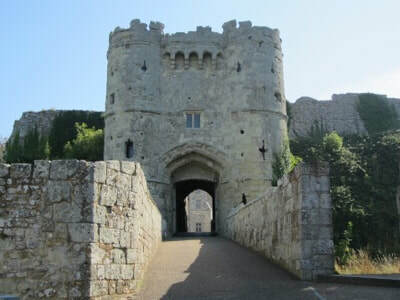 Charles I was brought to the church from his holiday home/prison at Carisbrooke Castle for a funeral. St. Lawrence Old Church on Seven Sisters Road is quaintness multiplied by quaintness, with a door designed for very short people and seating for a tiny gathering. The Isle of Wight doesn’t really have its own dish. Sure, there are lots of seafood places, and there’s a garlic festival, and there are some vague claims that the doughnut came from the Isle of Wight, but there’s not exactly one dish you instantly associate it with. Crab on Chips, sold at the Haven Fishery is one attempt to change that. It smells a bit fishy, but that’s the general idea. Just outside Ventnor is the Isle of Wight Donkey Sanctuary, which is free to visit and also isn’t too heavy on the ‘sponsor a donkey’ sales pitch. Read the blog about our visit to the Donkey Sanctuary in 2015. Ventnor Park is free and is one of the nicer parks on the Isle of Wight, with a little putting green and an outdoor gym which is perfect for the town’s beefcake residents who want to pump iron and chew gum. There are also some slightly random colourful budgies in aviaries. Just a little way along from Ventnor Park near La Falaise Car Park (the one by The Spyglass Inn) you'll find a Diplodocus Labyrinth which has been painted onto the hillside. It's a bit like a maze, but without junctions and is ideal for younger visitors to run up and down before giving up and asking to be carried for the last bit. 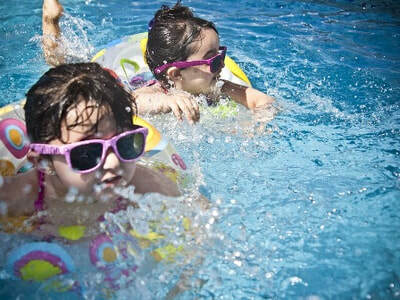 Read about our visit to Ventnor Park or download the Ventnor Park brochure for more information. Lots of tourism guides proudly trot out that Ventnor has a ‘unique microclimate’ without really explaining what that means. Essentially, it seems to be a bit sunnier than elsewhere (because it is about 7 miles nearer to the equator than Newport presumably) and it isn’t too windy because it is backed by high cliffs. Perhaps I’m missing the point. The result is that a) it was once an ideal site for patients recovering from tuberculosis and b) you can grow pretty Mediterranean flowers in the Botanic Gardens. It used to be free, but it now charges an entrance fee after those pesky bankers ruined the economy and the Isle of Wight council gently shoved it out of County Hall and left it to fend for itself in the big wide world. It’s not hugely expensive though and will appeal to gardeners. 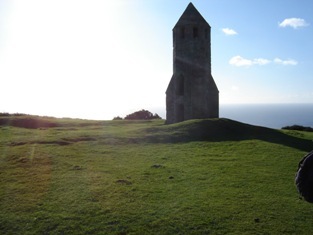 The Pepperpot is a wonderfully random place to visit for an hour, which fits in nicely with the South Wight's slightly other-worldly feeling. Although it looks like the world's worst attempt at rocket building, it is in fact the remains of a centuries' old lighthouse. One of its main pitfalls seems to be that it isn't very near the sea - but hey, I'm no expert on lighthouse positioning. When we've visited the Pepperpot we've parked at the viewpoint car park on Blackgang Road (nearest postcode PO38 2HN) and walked from there. It's about 1/2 a mile up a steep hill. Those who have experienced life in a wheelchair, or with a relative in a wheelchair, will know that the world suddenly feels very inaccessible. A simple step is enough to scupper a day out. Eventually you get to know the accessible places to go and start to really appreciate the chance to do something normal. 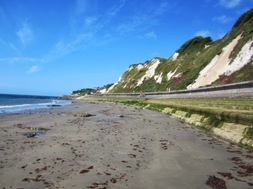 We've had many walks along the seawall from Bonchurch to Ventnor. There's a steep slope at the Bonchurch end, but it's not impossible and you can get a car down to the bottom bit for dropping off. You can read more about the route in this blog post. Thanks to local volunteers (The Ventnor Enhancement Fund) there's also a nice scale model of the planets along the route (Stokey's Solar System Walk). It's a recent addition, otherwise my mother would have taken the opportunity to turn it into an educational outing during my childhood. 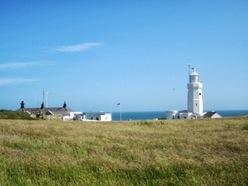 St. Catherine's Lighthouse is a little gem which in peak season is staffed by friendly volunteers who offer tours for not a great deal of money (from memory it was under £5). There are steep steps up to the very top which are would be a little precarious for some. 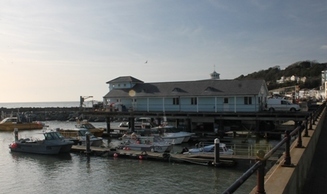 Read more about its history on our guide to historic Isle of Wight attractions. Not exactly a day trip, but if you are passing you might like to stop at the Blackgang car park viewpoint which has terrific views looking towards Freshwater and the Needles. There’s a nice clifftop walk from here which overlooks the Blackgang Chine park (it looks a fair bit smaller from above). There is usually a van selling more than your usual selection of food and drinks. 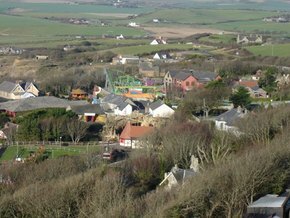 You might like to combine it with a visit to St. Catherine's Oratory, which is just up a steep hill. Ventnor's Heritage Centre has got a museum and a local history society, both of which are kept going by volunteers. At the time of writing, admission to the museum is the grand price of £1.50 - which will barely get you an ice cream nowadays. It is in a shop in the High Street (PO38 1PE) and has a collection of photos, records and so on. You can burn off the chips and ice cream whilst discovering Ventnor's history on the heritage trail. There are nine boards around the area and a challenge to beat the clock, which might persuade the children to join in. 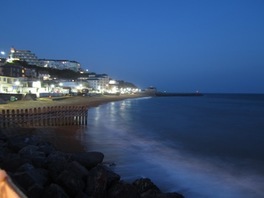 Ventnor has a rather grand looking haven, where you can head out on organised boat trips with Ocean Blue Quay. You can either take a tour of the local coastline, which includes a bit of lobster fishing, or you can go out on a mackerel fishing trip. Treasure Trails are a good way to explore a town in slightly more detail that you'd get from the upper deck of an open top bus. You pay about £7 for a sheet of clues to share and then spend a couple of hours following a circular route either looking for treasure or solving a crime. The ones we've done have been well organised, with the option of texting for help if you find yourself staring at the same clue for hours. Once you complete it you can enter a prize draw. 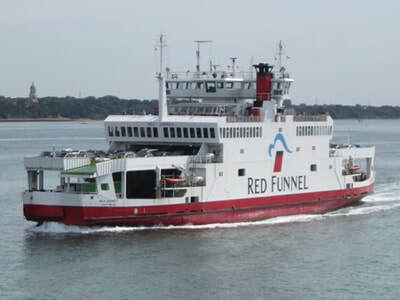 At the time of writing there are South Wight routes covering Ventnor and Godshill. This one isn't really in the South Wight, but it's in the general direction of Ventnor so you might like to combine it as part of a day out. 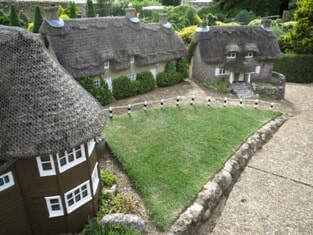 The Model Village in Godshill is exquisitely well kept, despite the endless risk of children sitting on a chimney pot or slipping a figurine into their anorak pocket. ​It costs about £5 and takes an hour or two, depending on whether you spend ages obsessing over every detail (my mother) or just have a wander round and a giggle at the streaker on the football pitch (me). The rest of Godshill is what my GCSE geography textbook called a 'honeypot site', meaning its olde churche and olde tearooms attract large numbers of people...despite there being an inadequate pavement.